The two main peoples known as "Eskimo" are: (1) the Inuit (Canada) or Inupiat (Northern Alaska), and the (2) Yupik of Greenland, and eastern Siberia and Alaska. The Yupik are three indigenous peoples who live along the coast of western Alaska: the Central Yupik West Alaskan Eskimo, the Pacific Yupik Eskimo, and the St. Lawrence Island Eskimo. With the above in mind, the Pacific Yupik Eskimo, also known as the Alutiq, are a southern coastal Alaskan Yupik people. Their language is a distinct language with two major dialects: the Koniag dialect, spoken on the Alaska Peninsula and on Kodiak Island, and the Chugach dialect, spoken on the southern Kenai Peninsula and in Prince William Sound. Traditionally, they lived a coastal lifestyle, relying upon ocean resources such as salmon, halibut, and whales, as well as rich land resources such as berries and land mammals. Now they live in coastal fishing communities, where they work in all aspects of the modern economy while at the same time they still value subsistence. The majority of Pacific Yupik claim Christianity as their religion. There are Russian Orthodox, Roman Catholic, Lutheran, Baptist, Church of Christ, non-denominational churches. The Church of Latter Day Saints (Mormons) also has a presence among the Pacific Yupik. Evangelical presence among Pacific Yupik is still below 10%. Pray that God will send evangelical Pacific Yupik to share the gospel with their own people and other unreached Alaska peoples. 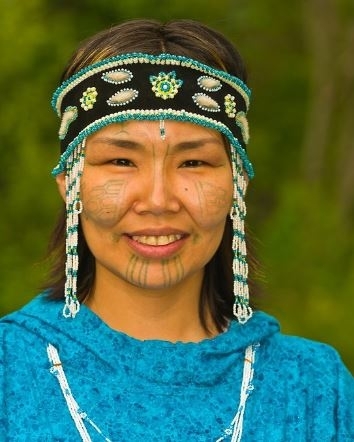 Pray for Pacific Yupik to understand and accept their calling to be a light to "all nations".